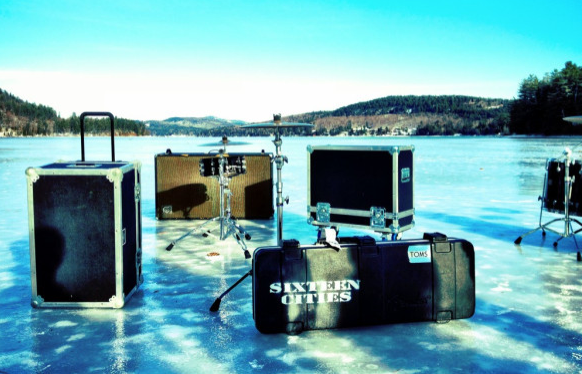 Christian Indie rock pop sensation Sixteen Cities were in town this weekend playing a gig at the Word Of Life Snow Camp, and filming a music video on our frozen lake. The band, which hails from Portand, Oregon, rocked it out for their fans on Friday night before heading off to Schnectady for a concert tonight at the Sonrise Bible Church (Saturday, January 21st). Sixteen Cities is telling their Twitter followers the video featuring their Schroon Lake ice shoot will premiere online in February. 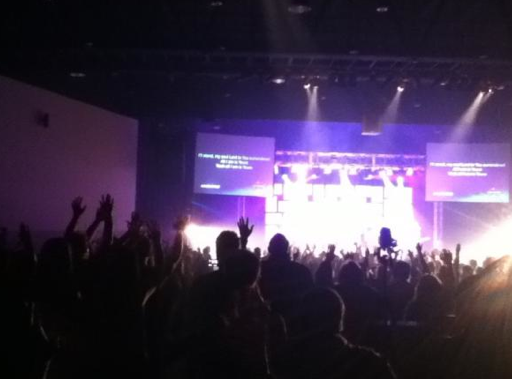 The band started in 2005 when they wanted to pursue a Wednesday morning worship ministry at their local high school. Word soon spread and in the following years the ministry grew to nine public schools in the Portland area, with thousands of students attending. After they graduated high schol they signed to Centricity Music in the fall of 2008. Shortly after Sixteen Cities started work on their debut Centricity Music album.